Thank you for looking to help Colorado’s students gain access to instruments and instruction. 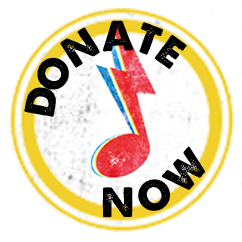 Your donation may help foster a life-long love of music! Please use the resource below to identify music needs in your community. If you find a match, contact the educator listed in the post directly. Note: Take Note Colorado is unable to respond to match inquiries. If you are interested in donating a used instrument, please ensure that it is in good usable condition or please have it repaired/refurbished before you donate it. Instruments in poor condition make it difficult to perform and are often frustrating for the learner. Thank you for contributing to increasing access to musical instruments and instruction for Colorado students! School is title 1 and doesn't have a lot of money. We have a music budget but a lot of that goes into resources and supplies for class. We could really use a smart board projector that turns your white board into a smart board as well as some off instruments and guitars. We need some instruments to record! Also would like to start a Rock Band class or club. Would also like to start a percussion ensemble. We are starting a modern band program and have keyboards and Orff instruments to spare, but no other instruments! We need the basic instruments to get started and stands/guitar hangers to store them. I would like resources and maybe a performance at my school to support the creation and growth of our new modern band program. Our school doesn't have any working euphoniums (we do have one, but it is close to beyond-repair), and I'd love to have at least three so that I can fill in the low brass section of my bands. I would also like to start a pep band / marching band, which means it would be nice to have a sousaphone. Finally, we do not have a marimba or vibraphone for our program---I have missed these color instruments already, and it would be very nice to fill in my percussion section for the coming years. I am directing a music arranging class with an average of about twenty students per trimester. We have a total of seven instruments for the entire class. The goal each trimester is for students to pick a song in their respective genre group and they spend class time (estimated 40 mins) learning their song bit by bit to perform for their peers at their Electives Showcase at the end of each trimester. We have a very limited budget and some older guitars that need attention and are also hard for the kids to play. Our goal is to have a working guitar in every learners hands. we have a music requirement at Brentwood middle school, however, we are at a loss for instruments. We have a full music department with a very limited budget. We are struggling with aging instruments, chairs and music stands. We have a brand new music program this year and have been making great progress with donated instruments however we are in need of repairs, volunteers and people to help with sectional lessons. We have a healthy budget for next year however it will not cover cleaning and repairs. Any Orff instruments, resonator bells, hand drums, ukulele, or percussion instruments would be greatly appreciated. All 115 of our students participant in music class throughout the year and we do not have enough of any instrument for a class set. The North Instrumental Music Department is seeking volunteers and guest artists to work with our band, jazz, band, drumline, and orchestra. We would love to have any local musicians come out to work with the students here at North. We are also in need of some physical equipment, such as a baritone saxophone, bass guitar, and guitar amp cables. We welcome any instrument, music, or equipment donations you may have to offer. Thank you for your considerations, and thank you for supporting music in our schools! Growing music program in need of resources. Skyline High School has a growing Orchestra program. As we get more students involved in the program, our need for instruments also increases. The majority of the students in the program borrow an instrument from the school, which is why our demand continues to grow. The majority of the students do not take private lessons, so guest clinicians that can offer individual lesson or sectional time would also be greatly appreciated to help raise the performance quality of the group. The City Year team at Trevista Elementary is seeking support with an enrichment program focused on Music. Trevista is unable to provide music classes for its students due to budgetary restrictions therefore, the City Year team is hoping to provide that experience. We would very much appreciate any kind of support Take A Note could provide, including but not limited to: instruments/resources, guests to come in and teach our students, performers, etc. We are seeking international instruments from any country. We have a small number that circulate throughout the district but we are looking for donated instruments that can live at our school for international studies. Instruments do not necessarily need to be playable but we'd love to have a selection for children to touch so they can gain some concrete experience. We have a bass that is in need of repair, but budget prohibits getting it fixed. We also have a few students sharing violas and violins between the three Orchestras and would love to allow students (free and reduced lunch) to be able to have full access to them! We are a preschool in Aurora Public Schools that serves 3-5 year old students. Because of the age of our students, it is difficult for us to leave our school. We work hard to bring enrichments to our school so our children have the opportunity to experience the world around them. We have strong connections within the community and would love the opportunity to bring music into our building. Our kids engage in music and movement throughout the day and this would be a wonderful extension to our curriculum. Hi! I am the director of the Orchestra for all of the Green Mountain Articulation area. That includes Green Mountain High School, Dunstan Middle School, and 5 elementary schools. We are in need of a handful of string instruments for students to play that cannot afford the rental/purchase fees of instruments. I am hoping to expand our orchestra program and the cost of instruments is prohibitive for some families. Thanks for your consideration!